I had always thought something unusual would happen to me. That maybe one day an event in my life would happen, almost like something straight out of a film. I was more hoping for winning the lottery or becoming famous than getting a life threatening disease though if I'm honest! Sarah came to visit me in the October half term which helped me a lot, although it upset her to see me so ill and unable to eat. But she struggled through and helped me as best she could. I doubt I could ever repay her for it if I'm honest. Thank you Sarah! I was also told at this point that because of where my tumours were it was unlikely that surgery would be an option and that I would most likely be having radiotherapy. 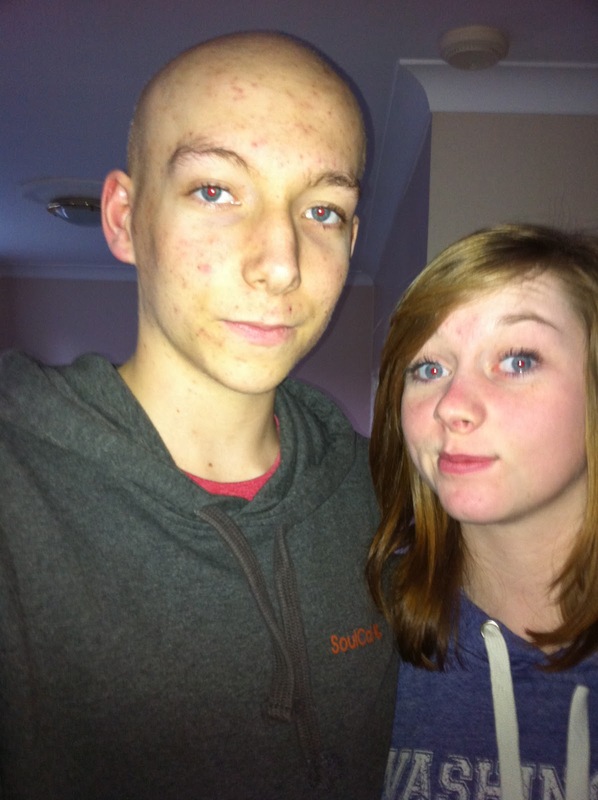 I was also told that if I had the radiotherapy to my head, my hair would never grow back. I suppose I'd have to get used to being bald. I had another round of tests on my kidneys and heart to check that they were still in working order, which they were. I was told that following my third session of chemotherapy I would have to have my stem cells harvested so that they could be used in a stem cell transplant (more on this later). I would have an injection everyday for a week and then I would go to Leeds to have my stem cells harvested. I'll cover more on this tomorrow though! At the end of October I had scans and at the beginning of November I got the results. These would show whether the chemotherapy was working or not. If not there wouldn't be much they could do for me, only extend my life for a while. Predictably I was nervous as hell. Sometimes I would get myself so worked up worrying and then within an hour I would be convinced I would be fine. This went on for weeks and weeks and if I'm honest still occasionally worries me. It's a very unusual place to be in, as not many other people have experienced it, meaning it's hard to explain to many people. I was so uncertain and scared of what would happen. I think for the first time in my life I realised that you don't live forever. You're alive for a certain number of days and there's nothing you can do to change that, you've just got to make the most of the time you have. I was in hospital when I received the scan results. The MRI of my pelvis showed new tumours had appeared on the left side of my pelvis. Fortunately my main tumour on the right side had shrunk slightly. This meant that the chemotherapy had had an effect on my tumours! The new tumours on the left hand side of my pelvis came as a shock though. My cancer was even more widespread than I had thought, and I was worried that it might carry on spreading even while the chemotherapy was attempting to work. Luckily the chemotherapy had shrunk my main tumour though, if only slightly. There was hope! I was scared of dying still, and I still am scared in case my tumours start growing again at the moment. I realised that scans aren't black and white, there's always a grey area. An area that could be a tumour or may just be a blood vessel or infection. I'd also realised that nothing ever turns out the way you planned. I thought that I would be okay on chemotherapy but I was so tired all the time and after over a month of being tired and ill it was starting to take its toll on me. My eyelashes and eyebrows were starting to fall out too and although my skin was better, it was still badly scarred. If it wasn't for my friends and family I wouldn't have been able to get this far. But the chemotherapy had begun its job. There was a reason to carry on fighting. :) The same thing happened w/ my first scan after 3 cycles of chemo..the tumor on the lymph node in my left pelvis had started to shrink! It's so good to know that what you are going through is actually doing something! I hate that there were new tumors, but at least the dr. knows they are there to know where to fight them! Can you imagine what it was like when they didn't have the scans etc..? and xrays were about it!? If we had to have cancer, at least it was now when they have so many things that are working to fight it..and so many good ways to check for it so it can be 'gotten' early on! 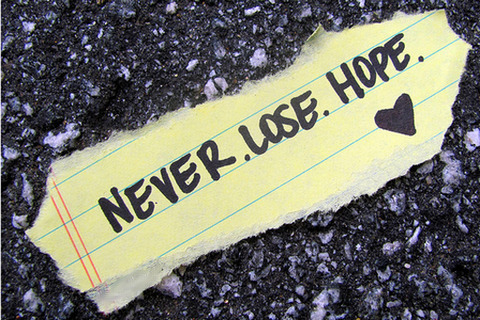 'Knowledge' is a good thing.. "HOPE" is a GREAT thing!!! ;) ps..hope you don't mind that I have added you to my prayer list & am praying for you often! I don't mind at all! It must've been horrible before they had scans, I know they first discovered chemotherapy from the effects of mustard gas on soldiers blood levels in World War 1 so it must've been horrible for the first people to ever have proper treatments. I know my treatment regime was on part of a study so it went towards results and they'll use what they learnt on the next generation of treatments. It's lucky we have such good technology and healthcare nowadays! I'm wsorking my way through reading your blog, you are a very brave young man.